This project is free and open to the public. The project is currently live and in limited beta testing. The project will be accessible to the general public about the first week of August 2011. 1. Viewers must first download the Layar app to there iPhone, iPad, or Android devise. 2. Next viewers must travel to a permitted viewing location along the North/South Korean Border. You can’t see it if you aren’t there. ***Before using the project get permission from an official guard at the viewing location. Explain clearly what you are going to do before starting the app. If you don’t have permission, it doesn’t feel safe, or you are not sure DO NOT USE THE PROJECT. Always be respectful. When you get it working please take screen captures and or photos and send them to me. I will post them to the website. 3. Load the Layar app. Click on the “Layers button” on the top of the window. The new window will allow you to search for Layers. 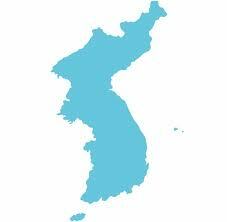 Search for “Korean Unification“. The app should come up. Click on it to launch “Korean Unification Project”. 4. It may take a minute to load. Please think of this like web pages in the days of old, loading may take a little while depending on the bandwidth. You should be standing facing the DMZ. Before the viewer the fortifications will disappear and the vision of a united Korea will be seen on the mobile devise. It is best to stand in place and walk around slowly during viewing. If you are having difficulty finding the project once the app is launched. Look at the radar in the top right corner of your screen [black circle]. You are located in the center of the circle. In the circle a white dot should appear. Turn around until you are facing the white dot. You should be facing the augmented reality. If all that appears is a floating bubble in the main window that means the project is still downloading the project [wait a little longer].